After half a week of 12+ hour days at or near the United Nations headquarters, our delegation is getting tired but we are all so enthusiastic about being here that our fatigue matters very little. Our third day at CSW62 brought our second Permanent Mission visit, this time at the Tunisian headquarters. 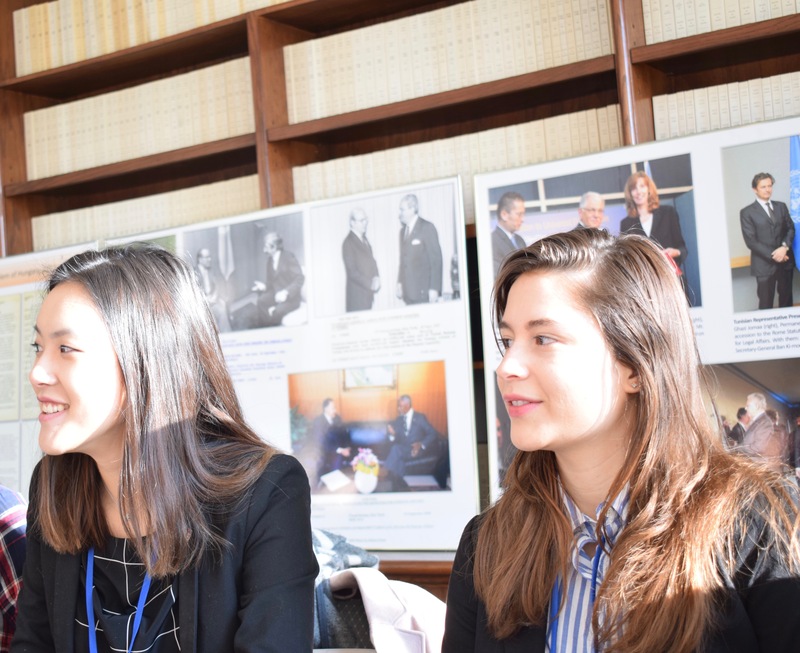 We had the chance to sit down with Deputy Permanent Representative Moëzz Laouani to discuss contentious issues currently faced by Tunisian women, such as inheritance laws, religious influence in society, and the role of women in crafting the 2014 Tunisian Constitution. It was a great pleasure to be able to engage in such frank and honest conversation – the Deputy Permanent Representative spoke about his experiences in higher education, foreign service, and even the challenges of raising a family when engaged in diplomatic work. These are all considerations that we must personally confront if we hope to enter into the diplomatic corps one day, and it was highly beneficial to have the chance to ask questions to someone at the top of their field in international affairs. As my primary interest in human and women’s rights lies in gender-based violence, I was pleased to attend the event related to violence against women and ICT. Unlike many of the other events I’ve attended, this side-event looked at the power of ICT to not only aid efforts towards combatting gender-based violence but also its ability to contribute to this issue. 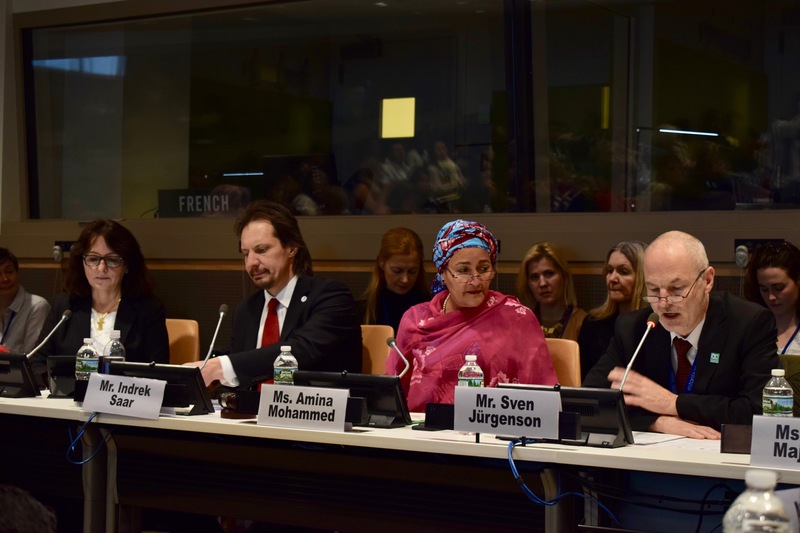 Included on the panel were Special Rapporteur on Violence Against Women Dubravka Šimonović and United Nations Deputy Secretary-General Amina J. Mohammed. These two women, and particularly Ms. Šimonović, are two individuals that I greatly admire for their work surrounding gender-based violence and I was thrilled to be chosen to ask a question pertaining to direct consultation of young women and girls who have experienced gender-based violence as a result of information and communications technologies. We also were able to briefly sneak in to a closed session of the Security Council. This meeting has made international news as it was called by the United Kingdom in regard to its claim that the Russian government was involved in the attempted murders of Sergei Skripal and his daughter Yulia with the use of the nerve agent Novichok on British soil. As a result, the British government announced earlier on Wednesday that it would expel 23 Russian diplomats from its territory. This meeting of the Security Council allowed representatives from around the world, including those of the United Kingdom and the Russian Federation, to express their views on the issue. You can watch a full video of the meeting here. All is not so interesting and inspiring at the United Nations, however. 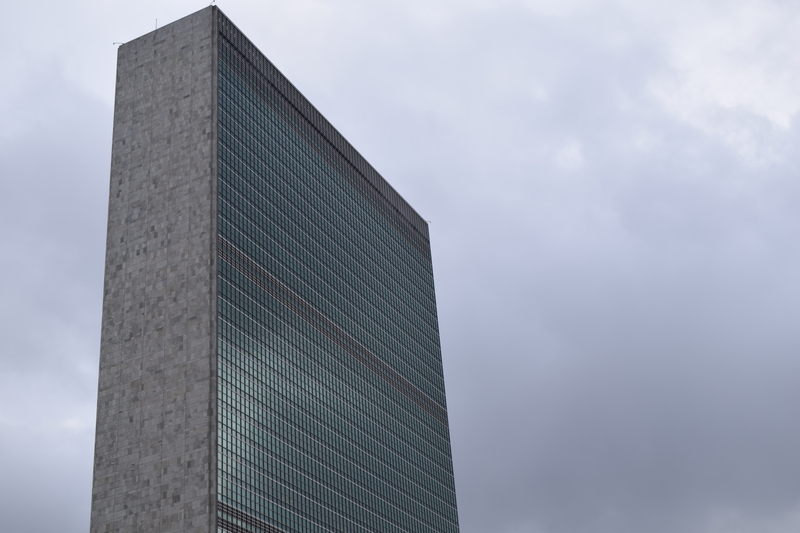 While it is easy to walk through its hallowed halls with reverence and appreciation for the work that is conducted on a daily basis, I experienced first-hand why the United Nations is critiqued as an out-of-touch and ineffective institution. The event I attended entitled “CSW Roundtable Event with Member States on the Joint Global Programme on Essential Services for Women and Girls Subject to Violence” appeared impressive upon arrival – the United Nations Population Fund (UNFPA) and UN Women had rented out a ballroom at The Westin near the UN Headquarters. There were free drinks and canapés. The two UN agencies managed to bring in a total of 21 ministers, ambassadors, and speakers. Most significantly, they had flown in two survivors of Boko Haram violence. Aesthetically and programme-wise, it was the perfect lineup. However, I quickly realized that all was not well almost immediately after the event began. The number of problems that could have been easily mitigated were almost unbelievable – a single translator for a stage full of speakers, a standing-room only space which resulted in a noisy audience, and consuming wine and eating cheese under the light of chandeliers while Boko Haram survivors discussed their unfathomable experiences. The desire to produce an excellent event on paper ignored the logistic considerations that these two girls deserved. To have ministers speak about the vague provisions of the Essential Services Programme and then be followed by the survivors’ stories of their children dying in front of their eyes in a Nigerian forest felt, to me, a grave mistake. I was devastated by their stories of loss and trauma, but my discomfort was truly unimportant when compared to the necessity of this message: thousands of girls have been kidnapped by Boko Haram and suffer that which is difficult to comprehend by nearly all of us who experience the luxury of attending multilateral conferences such as CSW. I remain appalled by the inconsiderate nature of the structure and implementation of an event which should have focused on survivors rather than cocktails and empty statements. This is not a criticism of the individual organizers of the event. This is not even a criticism of the United Nations as a whole. Rather, it is an expression of frustration towards a system that places such emphasis on optics, the callous nature in which vitally important content can be disseminated, and the disconnect between policies that are created and those that they truly serve. I wholeheartedly believe in the importance of the United Nations. I believe that the United Nations is one of the greatest hopes we have for combatting global suffering. I believe that the United Nations is an inherently good institution. This event demonstrated that there is much work to be done. The Commission on the Status of Women should not be about photo opportunities and canapés. It should be about sowing the seeds of impactful, desperately needed policies and initiatives. This is the work that the United Nations must undertake to achieve its mandate and remember for whom it exists, full stop. If you would like to follow along with CSW62, head over to Twitter for real-time updates from my personal account or the McGill International Review account for daily highlights. This is an evolving and adaptable project, so if you have any suggestions or comments feel free to reach out to me via email at phoebe.warren@mail.mcgill.ca. Phoebe Warren is a U2 international student in the Faculty of Arts double majoring in Political Science and History. She originally hails from Atlanta, Georgia in the United States. Phoebe’s relevant experience includes serving as a human rights intern at Liberal International in the United Kingdom, working as a current UofMosaic Fellow with the Toronto-based Mosaic Institute, and volunteering with the Obama for America campaign. Her academic interests incorporate religious and cultural conflicts resulting in human rights issues as well as American and UK politics.